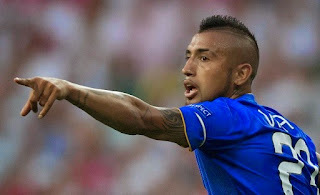 Arsenal transfer news 2015: Arsenal agree £21million Arturo Vidal deal Arsenal have reportedly reached an agreement for Juventus midfielder Arturo Vidal, according to Daily Mail. Premier League outfit Arsenal have reportedly reached an agreement for Juventus midfielder Arturo Vidal, according to Daily Mail. The reports from Daily Mail claimed earlier today that the deal has been agreed between both the top sides Arsenal and Juventus and it would cost around 21 million pounds. Vidal is currently at Copa America and will soon be returning once this tournament finishes next week. Arsenal current star Alexis Sanchez has reportedly played a big role in convincing Vidal to prefer Arsenal over other top sides. Manchester United have been one of the club interested in his services. Vidal has played more than 120 league games for Juventus since his move from Bayer Leverkusen in 2011. The Chile international will be signing a five year deal for the Gunners soon. It was also reported last month that the deal has been agreed, according to South American journalist Hernen Feler. The 28 year old lifted Serie A trophy last term with Juventus and also won the runner up medal in the Champions League campaign. The Italian giants have already signed Sami Khedira and it is expected that the Turin side signed him as a replacement of Vidal. Meanwhile, Juventus are also keeping tabs on Bayern Munich defender Mehdi Benatia.